A graduate of Upper S1. Clair High School and the University of Miami, Missie is considered one of the most outstanding women golfers to come out of Western Pennsylvania. In 1979 she was the WPIAL and PIAA Champion and took her considerable talents to southern Florida. 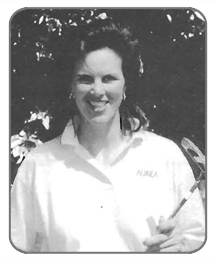 She became a full time player on the Golf team in 1982 and finished second in the NCAA Championships in 1984. She joined the LPGA Tour in 1985 and is still an active member of the tour. She has won the Ping Welsh’s Championship and has career earnings of well over $1 million dollars. A graduate of Swissvale High School, Bobby was a star in basketball and football, scoring thirty touchdowns over three years. He led his team to two consecutive 9-1 seasons gaining team MVP and All WPIAL First Team honors. He went on to Pitt where he was the starting Fullback for three seasons and a linebacker. He received All-State and All-East honors following his senior season and was drafted by the New York Giants. He shared Fullback duties his rookie season playing for Vince Lombardi and blocking for Gifford, Tote and Conerly. He was injured during the preseason the next year but came back to start the last nine games. As fate would have it, Bobby spent the 1956 season in the military while his Giant teammates were winning the NFL Championship. After returning in 1957 as a starter, he retired to pursue a career in engineering. Recently honored as one of the top ten amateur golfers in Western Pennsylvania, Frank graduated from Fox Chapel High School where he was a three-time WPIAL Individual Champion and led his team to two WPIAL Team Titles and earned one PIAA Championship. He went on to the University of North Carolina where he was a four-year lettermen and garnered three All-ACC First Team Honors and NCAA All-American recognition. He was rated the #2 Amateur in the U.S. in 1981 and played in the Masters Golf Tournament and the U. S. Open in 1982. He is the only golfer to win the Western Pennsylvania, Pittsburgh and Pennsylvania Opens in the same year (1986). He has won numerous other championships and golf honors over the course of his career and was a member of the 1981 Untied States Walker Cub Team vs. Great Britain and Ireland. He is one of only five Western Pennsylvanians to compete. 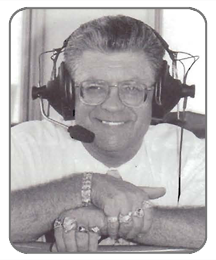 A native of Xenia, Ohio, Roger has gained his niche as an outstanding announcer of sporting events in Western Pennsylvania and around the world. He graduated from Xenia High School and began announcing sporting events in Xenia while attending Wilmington College. 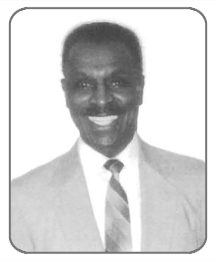 He was the Public Address Announcer at the University of Pittsburgh for football and basketball from 1976 until 1985. But it was in the realm of Harness Racing that ‘The Voice” has earned worldwide respect. A career which began as a teenager on local fairgrounds has led to induction into the Little Brown Jug “Wall of Fame”, the Untied States Harness Writers Association Hall of Fame, and the recipient of the US Harness Publicists Golden Pen Award. 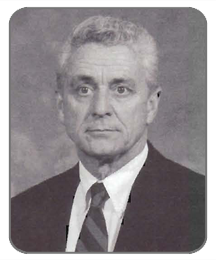 He is a trustee of the Harness Racing Museum Hall of Fame. 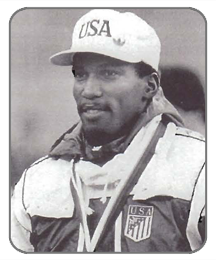 Born and raised in Vienna, Georgia, Rogerwas a two-year letterman in football and track at the University of Pittsburgh and the NCAA Indoor 60-meter High Hurdle Champion in 1984 and Outdoor 11 O-meter High Hurdle Champion in 1983. The 11 O-meter High Hurdle became his specialty and he was a gold medal winner in the 1984 and 1988 Olympics. He was a five-time National Champion and five times ranked numberone in the world. Rogerwas a Pan American games God medallist in 1983and 1995 and the World Games champion in 1989. He held the word record from 1989 -1993 and has held the American record since 1989. In 1990 he was named Man of the Year by Dapper Dan Charities, the International Amateur Athletic Federation, the U.S. Olympic Committee, and the Jesse Owens Trophy Committee. A graduate of Hopewell High School and the University of Pittsburgh, Mike began swimming when he was eight years old and retired at the ripe old age of 23. At Hopewell, he was a four-time Pennsylvania State High School Champion and AII­American in the 100 yard Butterfly and the Backstroke. At Pitt, Mike was undefeated in the Big East Conference in the 100 yard Butterfly, 100 yard and 200 yard Backstroke events (still holds two University Team records in these events). He was a 3-time NCAA Division I All-American and a 1988 Olympic Trials finalist in the 100 Meter Backstroke. 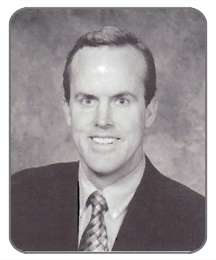 He was the Big East Most Outstanding Swimmer in 1989 and 1990 and was voted Pitt’s Most Outstanding Senior Athlete in 1990. An All-Section I\t1VP basketball player at Moon High School, John went on to become an All-Conference performer at Wingate Junior college and Pfeiffer College in North Carolina. His senior year he was the teams MVP and captain. 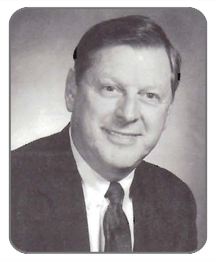 He began his coaching career at Moon Junior High School in 1967 (82-11). He became the coach at Riverside High School in 1970 compiling a record of 74-58 over six seasons before moving to Blackhawk in 1976. His record at Blackhawk now stands at 593 wins and 264 losses. His teams have an impressive record of 15 Section Championships, 7 WPIAL Championships in 12 finals, and 4 State Championships in 5 final appearances. He holds the WPIAL record with 11 consecutive section wins. Among his numerous awards are two Pennsylvania Coach of the Year Awards and four WPIAL Coach of the Year honors. He was inducted in to the Beaver Valley Hall of Fame in the spring of 2002. A two-sport standout at Central Catholic High School, Father Jack earned varsity letters in football and basketball. He went on to captain the S1. Francis Prep School Basketball Team to a 25-1 record and played on the undefeated football team. He enrolled at S1. 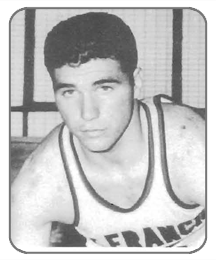 Francis College in Pennsylvania where he was captain of back-to-back 20-5 basketball teams. The 1958 team went to the NIT in Madison Square Garden. His senior year he was voted MVP and Mr. Frankie, the schools most popular student award, and signed as a free agent with the Detroit Pistons. He has been a Roman Catholic Priest with the Pittsburgh Diocese for the past 37 years and known for his ministry in Economic Justice and Civil Rights. He has been inducted into the Central Catholic High School Hall of Fame and presently is Chaplain to the AFL-CIO State of Pennsylvania. Billy was an outstanding All-state football and baseball player in West Virginia. 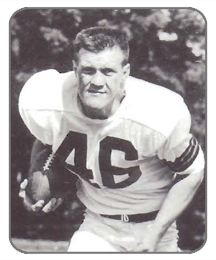 He went to the University of Pittsburgh and started for three years, concluding his collegiate career being named Pitt’s I\t1VP and participating in the East-West Shrine Game, the Hula Bowl, and the 1953 College All-Star Game A #2 draft choice of the Cleveland Browns, his play earned him the NFL’s Eastern Division MVP honors and a Pittsburgh Dapper Dan Award. While in the service in 1955 and 1956, he was named tot he All-Service and All-Air Force teams. Bill came back to play four more years in the pros with the Browns, the Steelers, Hamilton Tiger Cats, and the Oakland Raiders. He was a high school football and basketball official for over 20 years in the Cleveland area. Although born with a spinal condition, Jim excelled in sports at Edgewood High School. He went on to the University of Georgia where he earned consensus All ­Southeastern Conference and All-American honors in 1965 and was named MVP Lineman in the Sun Bowl. He played in the Senior Bowl and the College All ­Star Games. As described by Coach Dooley, “Big Jim was the strongest football player I have ever seen and one of Georgia’s All-time greats.” He has been named to university’s All Decade and All-time Teams. Drafted by the San Francisco 49er’s he was named to the 1965 All-rookie Team. He also played with the Falcons and Rams in a 7-year career cut short by spinal surgery. He was named to the State of Georgia and Helms Athletic Hall of Fame in 2002. 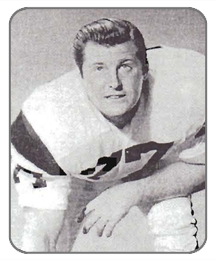 A two-year starter at Aliquippa High School, Don went on to be a three-year starter on a New Mexico State University team, which won Sun Bowls in 1959 and 1960. He returned to Aliquippa and was named head football coach in 1972. Taking over a losing program, Aliquippa had a record of 142-44-5 in his seventeen seasons, including a streak of 25 straight wins in 1987-1988. His teams won 7 AAA section titles, 4 WPIAL Championships, and 3 Runner-up finishes. 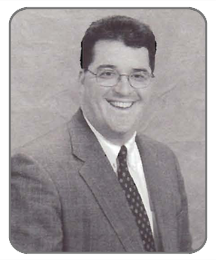 In 1989 he took over another perennial loser at Baldwin High School, where his record now stands at 78-52-2. He has been named Section Coach of the Year seven times, WPIAL Coach of the Year three times, and Pennsylvania AAA Coach of the Year in 1985. Despite taking over losing programs twice his overall record stands at 220-96-;7. Don has been inducted into the Aliquippa, Beaver County, Las Cruces [\I.M., and the Pennsylvania Football Coaches Hall of Fame. Please Note: The information on this page is, as it was posted in the program for the 2002 Annual Dinner.